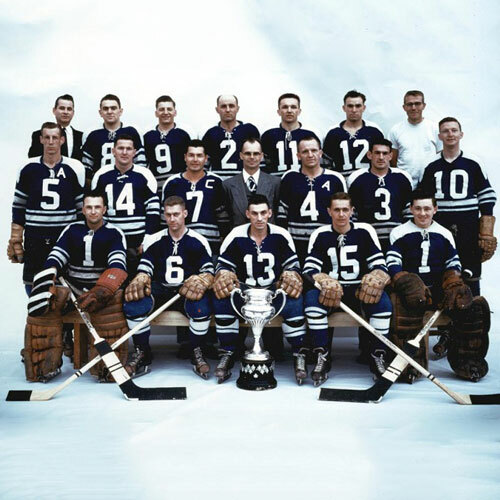 The National Hockey League is has had a number of high-scoring brother acts over the years, with the likes of Maurice and Henri Richard, Bobby and Dennis Hull and the Sutter brothers, but you will have to look long and hard to find a pair of siblings that were as strong on the blueline as the pride of Smithers: Joe and Jim Watson. 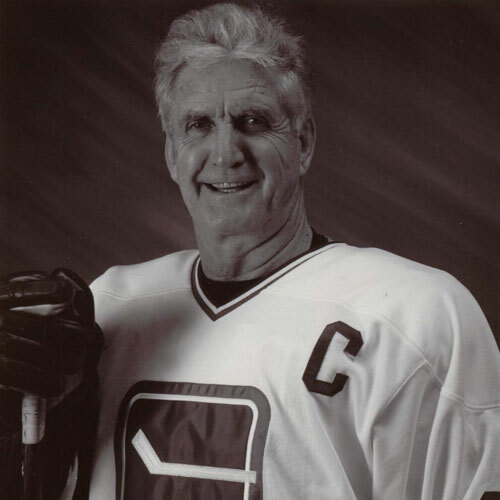 Joe Watson was the first of the two to reach the NHL, as he joined the Boston Bruins for a brief stint in 1965. His first full season with the Bruins was in 1966/67, where he was paired up with another promising young blueliner, Bobby Orr. The elder Watson spent just one season with the Bruins, before being drafted by the Philadelphia Flyers in the 1967 expansion draft. Watson spent the next 11 seasons with the Flyers, helping the team win two Stanley Cups. He was also named to two all-star teams, getting the nod in 1974 and again in 1977. Joe was also voted the first recipient of the Barry Ashbee Trophy as the Flyers’ best defenceman following the 1974-75 season. The award was named after the Flyers’ veteran whose career had just ended due to an eye injury. Watson’s rights were sold to the Colorado Rockies in the summer of 1978, but a serious leg injury early in the 1978/79 season ended his playing career. 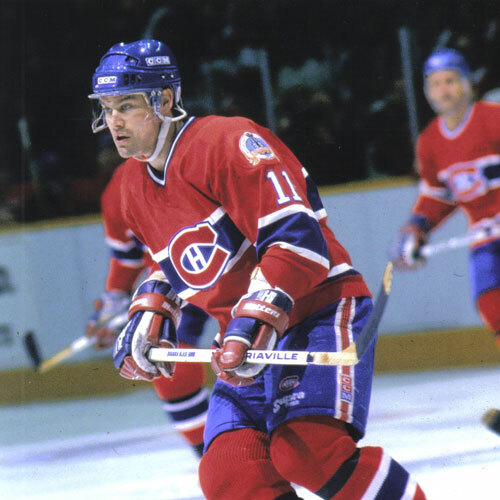 Jim Watson quietly established himself as one of the NHL’s top defensive defencemen during his 10-year career. 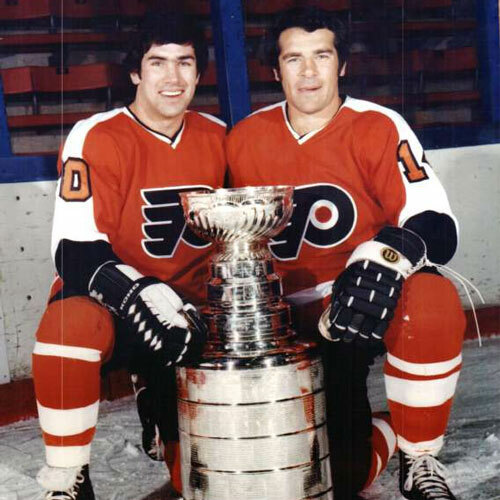 The younger of the two brothers (born nine years after Joe), Jim was drafted by the Flyers in 1972 and spent his entire career in the city of brotherly love. After a junior career with the Western Hockey League’s Calgary Centennials and one year of minor pro with the Richmond Robins of the American Hockey League, Jim joined the Flyers to stay at the beginning of the 1973/74 season. Playing during an era dominated by blueliners like Denis Potvin, Larry Robinson, Brad Park and Borje Salming, Jim was named to the NHL all star team each season from 1975 to 1978 and then again in 1980 (five times in a 10-year span). One of Jim’s biggest fans was Fred Shero, who coached Philadelphia’s to back-to-back Stanley Cup championships in 1974 and 1975. 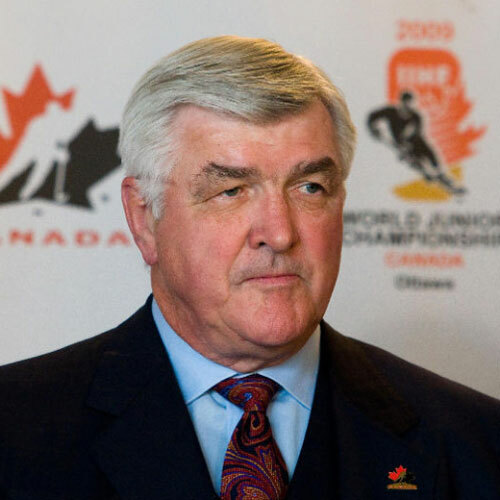 Shero described Jim as one of the best and most underrated defencemen in the NHL and predicted that the younger Watson would have won the Norris Trophy as the league’s top blueliner, had an eye injury in the 1976 Canada Cup tournament not hampered his development. Watson retired from professional hockey in 1982, after appearing in 613 regular season games and another 101 playoff contests for the Flyers.